Had to show this one. 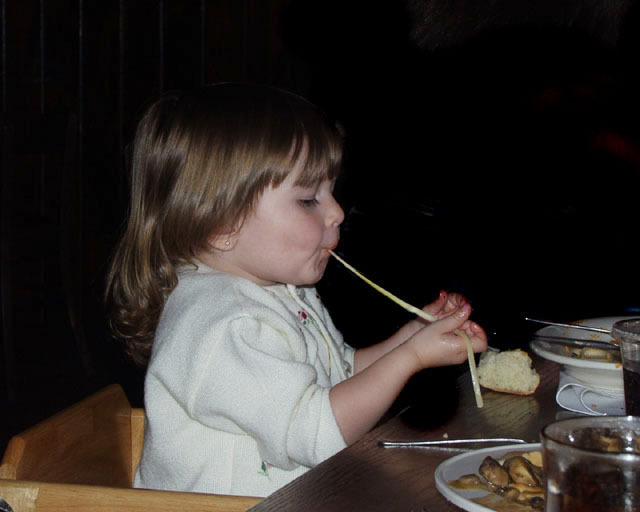 My daughter took me out for Fathers Day and sitting across the table eating her pasta was my daughters God Child eating away. Grabes the camera and shot. Without problems in the world!!! !